The role of mosquitoes in spreading malaria is the biggest factor behind a recent study that found them to be the 'World's Deadliest Animal'. It is particularly concerning that current measures to control them (the most important of which is the use of insecticide treated bed-nets) are losing potency as mosquitoes are evolving resistance. The persistence of malaria in large parts of sub-Saharan Africa has motivated the development of novel tools to complement existing control programmes. These include gene-drive technologies to modify mosquito populations, either to reduce them in number or to make the mosquitoes unable to transmit disease. In new research published today in BMC Biology, from Oxford's Department of Zoology and Oxford Martin School, a team of scientists model the potential of modifying mosquitoes with a gene-drive technology called "driving-Y chromosome" to reduce mosquito populations in a one million square km area of West Africa, including all of Burkina Faso. A driving-Y chromosome has been genetically modified so that the male mosquitoes that carry it produce predominantly male offspring (which also carry the modification). 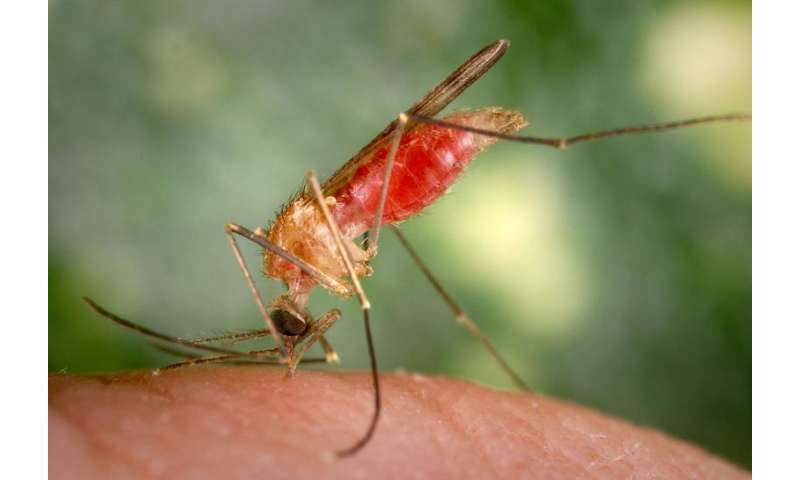 Since only female mosquitoes bite, the spread of this modification will result in less females to transmit the disease, and less mosquitoes overall. The researchers predict that introductions of driving-Y mosquitoes will cause significant reduction of the target mosquito species in some regions and complete elimination in others. The researchers found seasonality to be the most important predictor of the local impact of the gene-drive. Population elimination is more likely in regions with mild dry seasons, while reduction is more likely in regions with strong seasonality. However, even in the most challenging environments, populations were reduced. The model suggests that this approach would have a major impact in reducing malaria. They ran a large number of simulations on Oxford University "super-computer" facilities to explore how different factors and assumptions influence the outcome of introductions of genetically modified mosquitoes with a driving-Y chromosome. This technology, still under development, proposes creating a driving-Y chromosome modification into the most important species of malaria mosquitoes of sub-Saharan Africa. The region to model was selected as it is one of the worst malaria affected areas in Africa and exhibits much of the wide variation in environmental conditions found in West Africa. The researchers are part of Target Malaria, an international not-for-profit research consortium aiming at developing and sharing new, cost-effective and sustainable genetic technologies to modify mosquitoes and reduce malaria transmission.